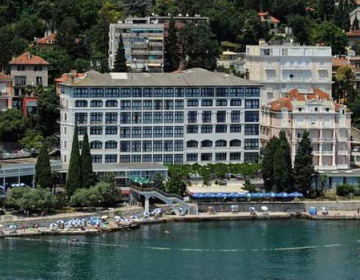 In the city center of Opatija, hidden between palms, pines and other Mediterranean vegetation, lies a wonderful hotel with in total 135 rooms high class and with its own parking place. 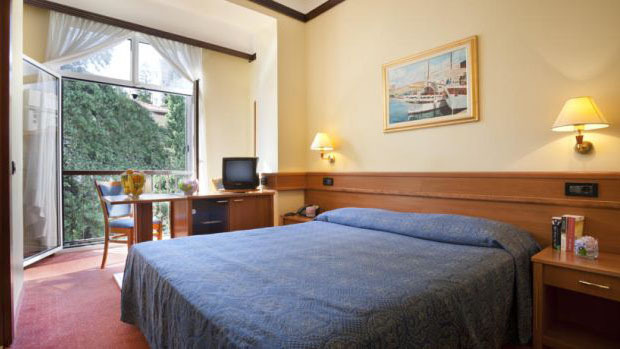 All the rooms are modern furnished following the EU standards, with a capacity from 1 till 3 persons, equipped with SAT-TV-LCD, phone, safe, air conditioning, minibar, hair dryer, Internet (extra chargeable) and balconies with garden in front. 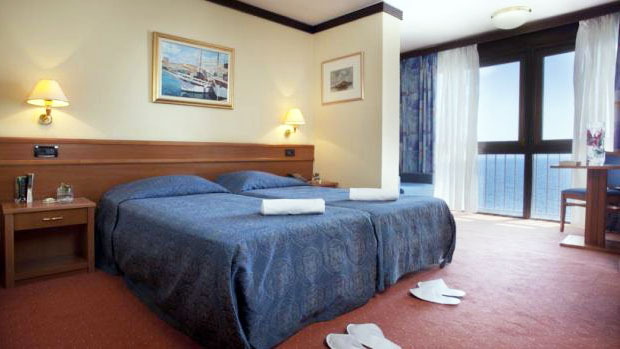 There is also an indoor swimming pool (sea water) and sun beds with umbrellas (limited number is free of charge). Further, in the city center of Opatija there are a supermarket, minimarket, sport center, water sports, wellness center with fitness studio, tennis courts, beach volley and minigolf, discotheque, restaurants, pastry shops, animation center, bistro, bar, children's playgrounds, souvenir shops, hairdresser and beauty salon. The well maintained pebble, rocky and paved beach is approximately 50 meters distant. 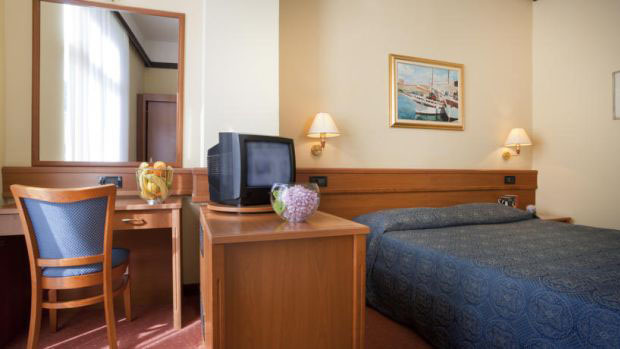 The Hotel REMISENS KRISTAL (Opatija) **** is an ideal accommodation for demanding guests, who wish to get the best value for their money (high quality service at a reasonable price). 01.03. - 15.04. 15.04. - 13.05. 13.05. - 24.06. 24.06. - 29.07. 29.07. - 19.08. 19.08. - 09.09. 09.09. - 23.09. 23.09. - 07.10. 07.10. - 31.10. Sport: Beach Volley, Bike and Moped Rent, Boat and Kayak Hire, Entertainment for Children, Minigolf, Jet Ski, Indoor Swimming Pool (Sea Water), Sailing, Table Tennis, Tennis Courts, Water Ski, Windsurfing.